As another storm system walloped the Bay Area with rain on Wednesday, crews were keeping a close eye on the areas recently scorched by the devastating wildfires in the North Bay. Teams spent the overnight hours trying to haul off as much of the charred debris as possible and block storm drains with straw waddles to prevent potentially toxic materials from flowing into creeks and streams. "Can you imagine having to go into the entire city of San Francisco times three-and-a-half and make sure it was secure for a rainfall event?" Sonoma County Supervisor David Rabbitt said. "That's what we're dealing with." Even as rain arrived Wednesday, workers continued storm preparations, including ongoing drain pipe assessments using remote control video cameras. The latest round of rain, which will be heaviest in the North Bay, has prompted flash flood watches in Marin, Napa and Sonoma counties, according to the National Weather Service. Those watches went into effect 4 p.m. Wednesday and were set to expire at 3 a.m. Thursday. Roughly 1 to 3 inches of rain in the region could cause debris flows and mudslides, especially in the burned out areas. About 300 Cal Fire firefighters on Wednesday were in the burn areas working on erosion control. Flooding on Folsom Street in San Francisco is not a new problem, and the barriers used to protect businesses and homes have been around for three years now because officials say they work. Some new wrinkles have been added this year: flood grants and a strike team to help out with the problem. Sam Brock reports. Rain returned by the evening, with the heaviest downpours pelting the North Bay. The slow-moving storm eventually made its way south and was expected to bring deluges to the South Bay overnight. 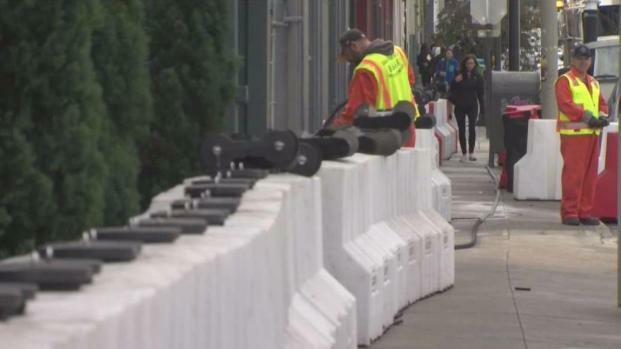 In San Francisco, workers installed flood barriers along Folsom Street, near 17th Street, for a third straight year. But officials with the Public Utilities Commission said this year will be different, with a $2 million grant program allowing homes and businesses to retrofit. 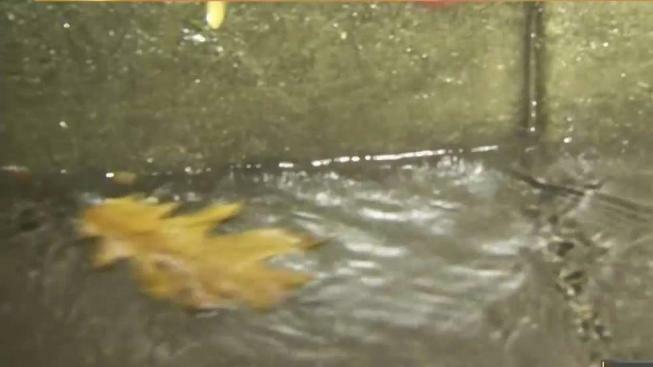 In the East Bay, crews cleared storm drains and stocked up on sandbags as the rain approached. The rain is expected to clear out of the Bay Area by late Thursday morning.